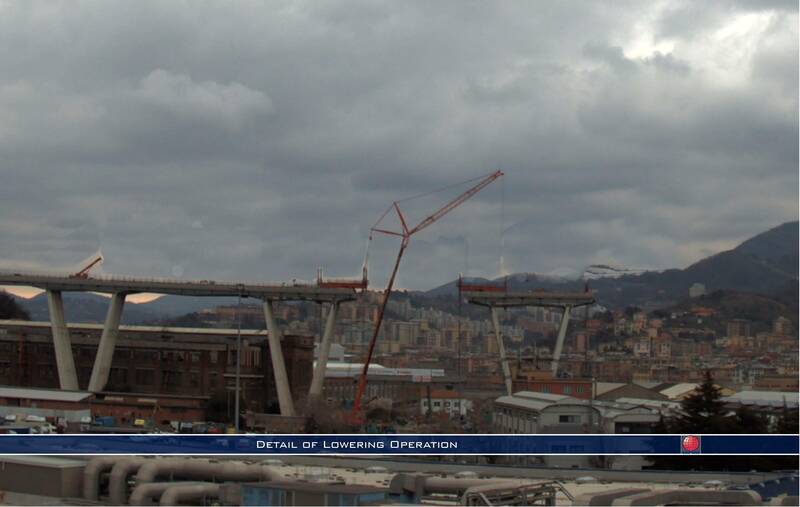 FIRST STEP FOR THE DEMOLITION OF MORANDI BRIDGE IN GENOA | Fagioli S.p.A.
On the 9th of February 2019, Fagioli, together with other expert operators, managed to execute the first step of the demolition operation of Morandi Bridge in Genova. 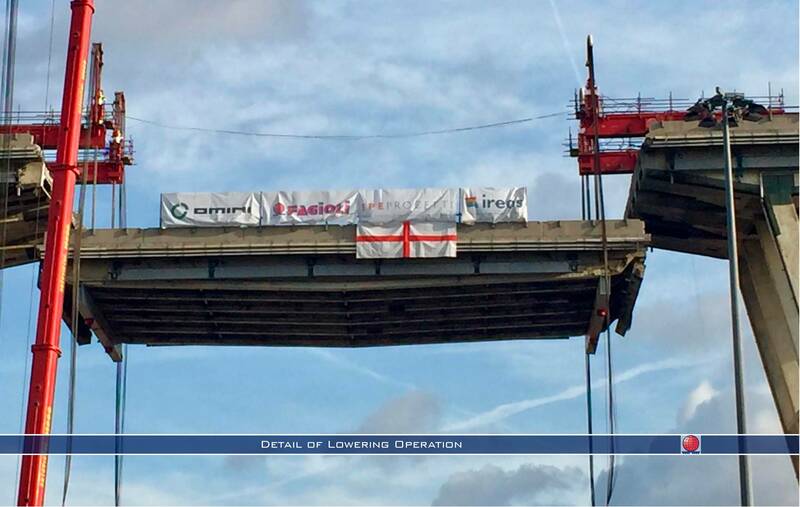 After the meeting with Italian Prime Minister Conte and main National authorities, held during the morning of the 8th of February, Fagioli started the operation of lowering the first central bridge section weighing about 900 ton, with a length of about 36 m and 18 m wide and successfully completed the operation. A delay in the operation was due to weather condition, a strong wing which postponed the lowering action. Fagioli used No. 4 x 600 ton capacity strand jacks (No. 2 strand jacks on the Western side bridge pylon and No. 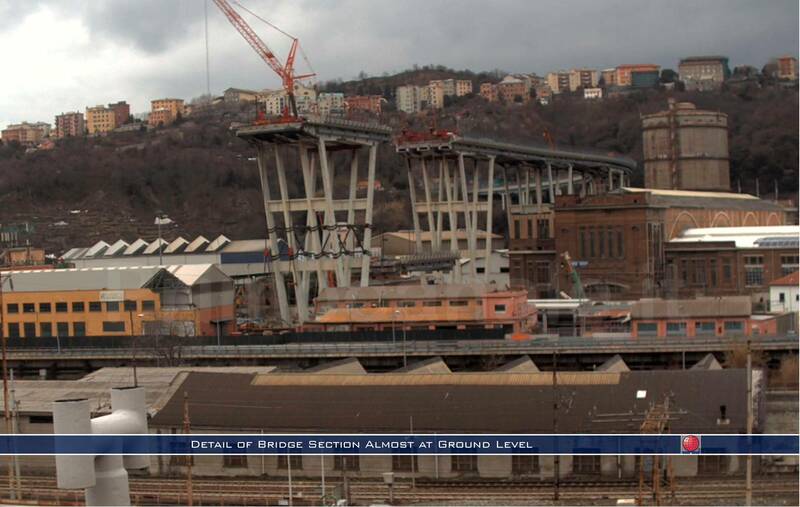 2 on Eastern side bridge pylon ) to lower the central bridge section. 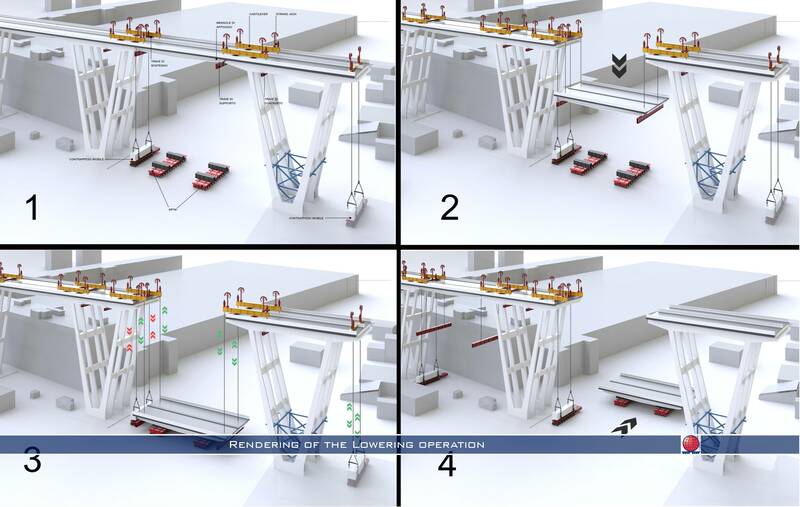 The jacks used for the lowering operation were positioned onto cantilever beams provided with additional No. 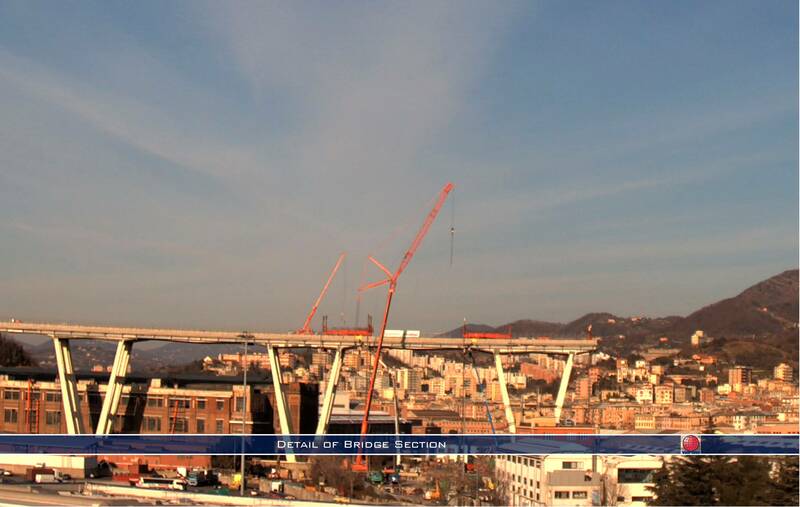 4 strand jacks (180 ton capacity each) with the task of balance the whole structure. No. 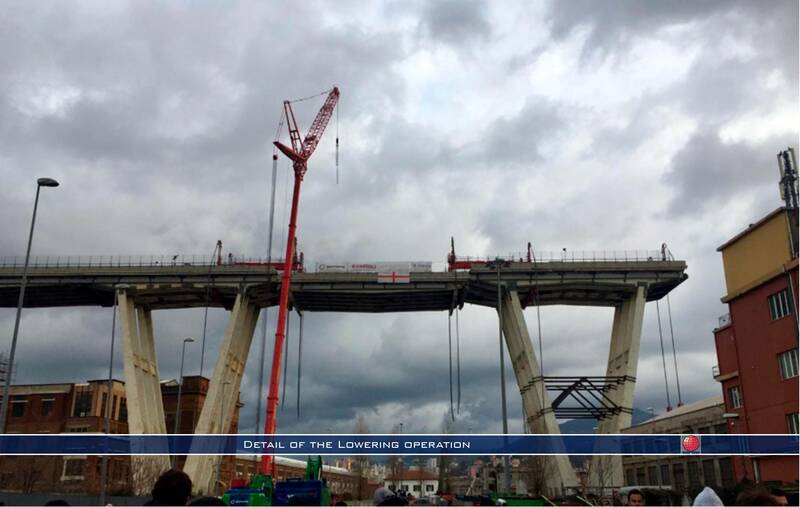 2 support beams were transversally positioned underneath the western and eastern bridge pylons in order to anchor all the lifting/lowering structure to the w/e bridge sections. On the eastern bridge pylon another structure was positioned at the top end of the bridge with No. 2 additional strand jacks with counterweights with the task of providing a counterbalancing action during the lowering. This is the first step of a very long and challenging operation. Stay tuned for further info on the developing of the operation!